Click the infographic to view the full size version. All Infographics on this site are property of CityMax.com. All rights reserved. The basic information of what's going on in online business. 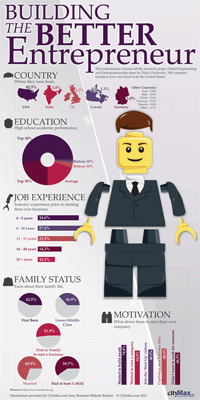 A snapshot of who the average online entrepreneur is. Need to see what makes a better entrepreneur? Well this will help clear things up.